hd00:50Wonderful abstract kaleidoscopic pattern of branches with fresh green leaves on blue sky in six structure. Excellent spring floral background in stunning full HD. Adorable visuals for amazing intro. hd00:50Wonderful abstract kaleidoscopic pattern with maple blossom branches in six structure on blue sky background. Excellent animated spring floral green toned background in stunning full HD clip. 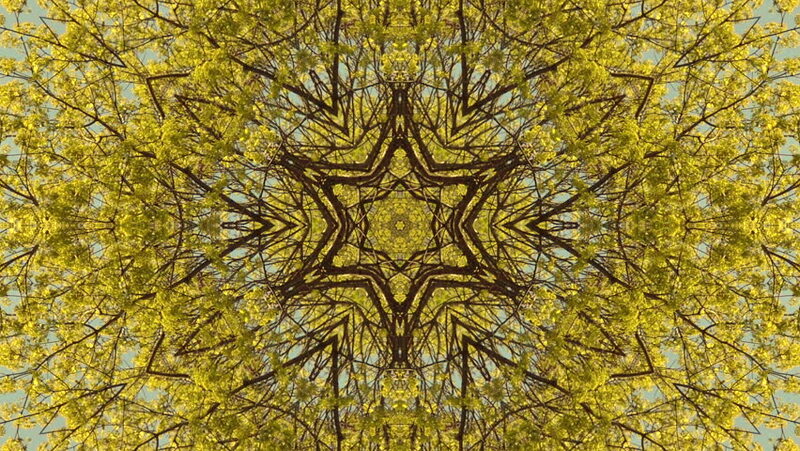 hd00:33Wonderful abstract kaleidoscopic pattern with spring tree branches in six structure. Excellent animated floral green toned background in stunning full HD clip. Adorable visuals for amazing intro.